It contains a high amount of omega fatty acids (omega-3, 6 and 9) which our bodies are unable to produce but are vital for our general health. Essential fatty acids help to regenerate skin cells and to repair damaged skin tissue, quench dry, sun damaged skin and help to improve the appearance of burns, scars, wrinkles and stretch marks. Ageing and exposure to sun causes the skin’s collagen fibres and elastin to break down. The essential fatty acids and vitamins in rose hip oil are readily absorbed by the skin and help to slow the breakdown of these fibres. With its neutral pH balance and anti- inflammatory properties, rose hip oil keeps skin balanced and healthy, helping to protect against cell degeneration caused by bacteria and oxidants. Vitamin A helps improve the skin’s moisture level and reduces fine lines and wrinkles. Rosehip oil is rich in a natural source of vitamin A, known as trans-retinoic acid, which helps to prevent premature ageing caused by sun exposure and reduce the activity of skin-damaging enzymes. It is rich in antioxidants, including beta-carotene and lycopene, which help to protect and repair skin from premature ageing. Vitamin C and lycopene in rosehip seed oil has skin rejuvenatin properties which repairs the skin’s surface, restores elasticity and protects against sun and pollution stressors that can lead to wrinkles. It is a great moisturiser for face, skin, hair and nails. It nourishes the skin deeply for a smoother and even complexion. It is a non-comedogenic oil and will not clog your pores the way some other beauty oils might. It is anti-inflammatory and antioxidant which helps decrease environmental damage to the skin and nourish it. It’s non-greasy and super light and is absorbed by the skin immediately. Unlike heavier oils that are commonly used on the face like jojoba and shea butter, rosehip seed oil absorbs easily. It is also good as an addition to lotions and creams. It helps diminish the appearance of scars, including acne scars, burn scars and even stretch marks. The essential fatty acids and vitamins in rose hip oil help to keep damaged skin hydrated so that a wound can heal quickly without drying out and tearing your skin. They also improve the permeability and flexibility of the skin. 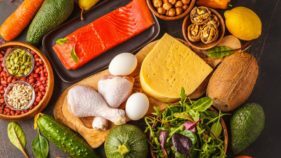 The Vitamin A present in the oil could contribute to scar healing and skin regeneration as Vitamin A plays a role in enhancing the skin’s tone and texture. The oil also has anti-inflammatory properties that help to prevent infection. Rose hip oil could combat the damage done to the skin by the rays form the sun. The oil contains antioxidants which fight the stressors responsible for ageing. The essential fatty acids, in combination with Vitamin A, help enhance the skin texture, tone and pigmentation. The fact that the oil plays a huge role in moisturising the skin and mitigating irritation makes it an ideal treatment for skin issues. Another benefit that makes rose hip oil popular is the natural glow it gives you when you use it. Not only does this oil help reduce or get rid of wrinkles and fine lines, it also gives the skin an attractive and a healthy glow. 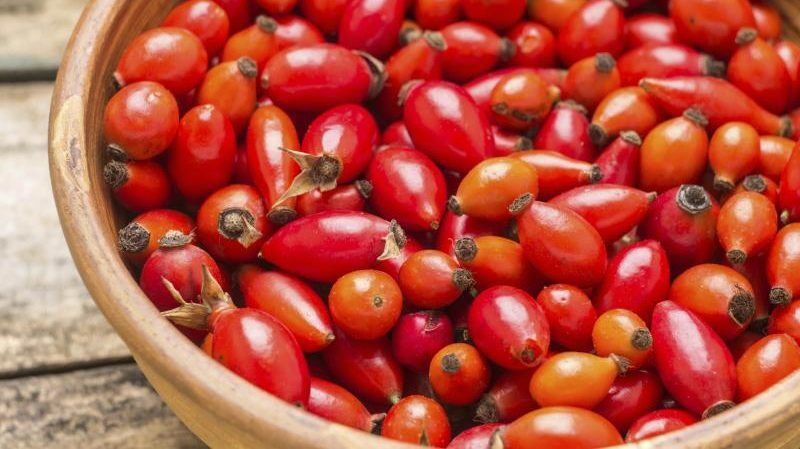 All the ingredients in rose hip oil are natural, and that makes it an ideal healthy treatment for the skin. Like jojoba, rosehip oil also is a dry feeling or non-greasy oil. It is well absorbed by our scalp, helping to keep it moisturised and soft. The fatty acids in the oil help repair and renew damaged hair follicles and scalp tissue to promote healthy hair growth, soothe irritated scalp conditions like dandruff, and increase hair elasticity while adding shine and luster. Rosehip oil also contains beta-carotene which works to normalise oil production and is useful for both oily and dry hair. It can help battle against oxidants (free radicals) that damage your skin and hair cells. The essential fatty acids found in rosehip seed oil work wonders for dry scalp and itchiness. It is what the skin needs for hydration and skin sensitivities. So make sure to try this beauty oil and tell me what you think about it.